You visit a friend who asks: "Would you like a cup of tea?" The next question might be: "Regular or herbal?" Then there may be another choice... Earl Grey, Irish Breakfast... Green... Peppermint... Growing up in our home in Ireland we had one brand of tealeaves. Once made, the teapot sat on a lighted gas ring and was 'stewed to within an inch of its life'!!! Then the leaves were later used as fertilizer in the garden. Are we complicating our lives with so many choices? Anne Morrow Lindberg writes in Gift from the Sea, "...we, who could choose simplicity, choose complication." Managing our lives is challenging. It means saying "no" in order to say "yes" to higher priorities. It means listening to our inner voice to discern our own truth, rather than being overwhelmed by the tug of facts that barrel their way into our lives each day. During my career as a verbatim reporter, at the conclusion of a lengthy human rights hearing, the lawyer for the plaintiff, in his summation to the tribunal, urged them to focus on the truth, and quoted Frank Lloyd Wright:"Truth is more important than facts." I enjoy the variety of tea in my cupboard today, the clothes I wear, and the dishes I use. Perhaps the question to ask is" Did I use it / wear it within the past year? If not, perhaps it's time to give it 'wings' and let someone else have the pleasure. I wish you moments of stillness where you discern your own 'truth'. Be kind to yourself, and patient. 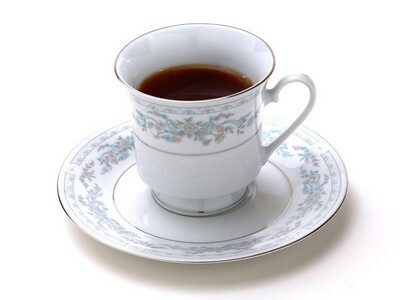 If I can support you, let's have a cup of tea together... which will not be stewed!